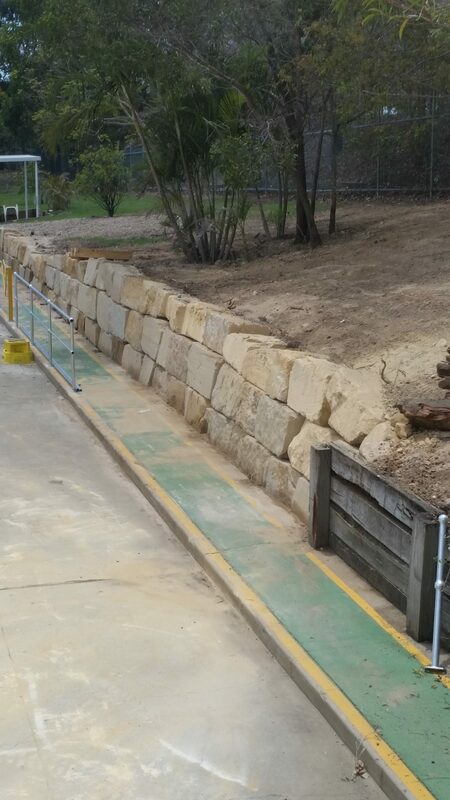 Client communities in household and commercial circles often look for expert solutions in retaining wall services in Jimboomba, Park ridge and Cedarvale. Personnel of our organization figure out the ideal solutions for new as well as existing households. We construct and conceive reliable retention walls employing rocks, concrete sleeper walls and link block systems. Being the leading retaining wall organization, we build structures using a wide variety of materials. When clients like a specific type of building material, our professional staffs gladly assists in finding solutions to suit needs and budgets. We are also available with us as timber sleepers, link blocks and concrete sleepers aided with numerous dry stacks. Retention wall products are made available with numerous aesthetic finishing to enhance the overall imagery. Careful consideration is provided to structural retaining wall footings along with apt drainage and back filling for long term durability. We recommend reinforced concrete footings for making landscaping properly aided by retention wall structures. All sorts of landscapes are catered in our retaining wall services that require a wall of one or the other kind. Retaining walls are essentially conceived to retain soil from a higher point in a typical landscape designing initiative. In case of a sloping site, retention walls are built to help level up a back or front yard for making the area properly use able. Retaining walls are also built to help with site drainage issues through excavation to enable storm water flow in directions away from the home. We help the clients to choose the correct materials for creating perfect retaining wall architecture. We’d like to hear comments from you. Do you have any further questions regarding our range of services? We are always happy to answer our clients’ queries, so please do not hesitate to get in touch. Call us or mail your query now.